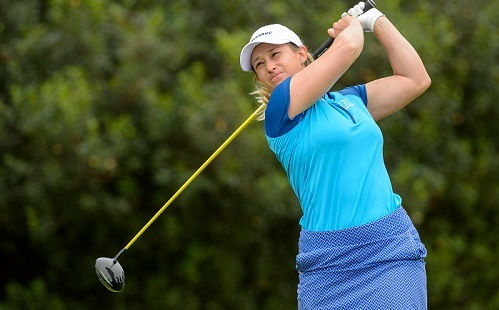 Five-time Sunshine Ladies Tour winner Stacy Bregman is brimming with confidence as she heads to the South African Women’s Masters starting on Thursday at San Lameer Country Club on the KwaZulu-Natal south coast. Bregman had no sooner wrapped up a second place finish in the Dimension Data Pro-Am on Sunday, when she declared herself ready to challenge for the SA Women’s Masters title. “I love the south coast and I always play well at San Lameer,” said the current Investec Property Fund Order of Merit leader. “I haven’t been to Durban in a year, so I am looking forward to go back. “We had the SA Women’s Open in KwaZulu-Natal for the last five years, but when it switched with the SA Women’s Masters and moved to Cape Town, we were really worried that we would lose the SA Women’s Masters after it took eight years to get it back on the schedule. The field will compete for a purse of R350 000 purse and important points in the Investec Property Fund Order of Merit race. 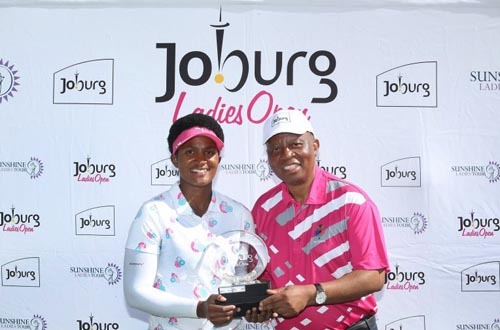 To go with her triumph in the first event of the season – the Canon Ladies Tshwane Open – the 31-year-old Ladies European Tour campaigner also has runner-up finishes in the Joburg Ladies Open and the Dimension Data Ladies Pro-Am. In fact, her worst finish to date was fourth at the Cape Town Ladies Open. It’s no surprise then, that Bregman has opened a gap at the summit of the money list with 1 635 points after four tournaments. Carrie Park is second after her incredible nine-shot victory at the Dimension Data Ladies Pro-Am on Sunday, but the defending champion won’t pose a threat as she returns to her native Korea this week. 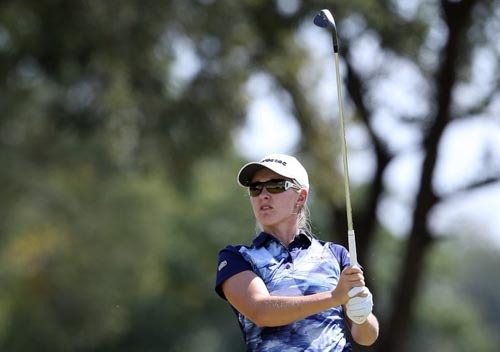 It’s likely that Bregman will improve her lead at the top of the order of merit this week, as third placed Ashleigh Buhai and Lee-Anne Pace, who won the SA Women’s Open three successive times at San Lameer, are both abroad, campaigning on the LPGA Tour. Fourth-placed Ivanna Samu will be in action, though, and the 19-year-old has been trending towards a maiden win. But Bregman is feeling confident this could be her week. Despite not realistically challenging Park for the win in George on the weekend, Bregman was nonetheless pleased with another good result. “It was great to play with the amateurs this week and also with the Sunshine Tour boys. Bregman has been working hard on her game in the off-season with her new coach Grant Veenstra, and has made a few minor adjustments to her swing and other aspects of her game. “I can see the changes starting to yield results and it’s been a really good start for me this year,” she said. “It means a lot to top the money list; it shows I’ve been playing really good golf this season and that I have been really consistent. All the changes I’ve been making, they’ve been paying off. To have an order of merit is a big achievement in local women’s golf according to Bregman. “I think it’s very important because the Investec Property Fund Order of Merit shows that you have a tour,” she said. “The Order of Merit over the last five years tells who how well the Sunshine Ladies Tour is coming along. After the SA Women’s Masters, there will be another event in KwaZulu-Natal – the SuperSport Ladies Challenge presented by Sun International will be held at the Wild Coast Sun Country Club. Then it is on to Cape Town for the season-finale Investec South African Women’s Open, which is co-sanctioned with the Ladies European Tour. The prize money of R2-million is the biggest purse on the Sunshine Ladies Tour since 2014. With Bregman gunning for the Order of Merit title, victory in the South African Women’s Masters will put her in a very good position to win the money list. A strong finish in the Investec South African Women’s Open will also provide the perfect springboard for her 2018 Ladies European Tour season.